An Afghan graffiti artist is boldly taking to the streets with a spray can and hope for a peaceful future. 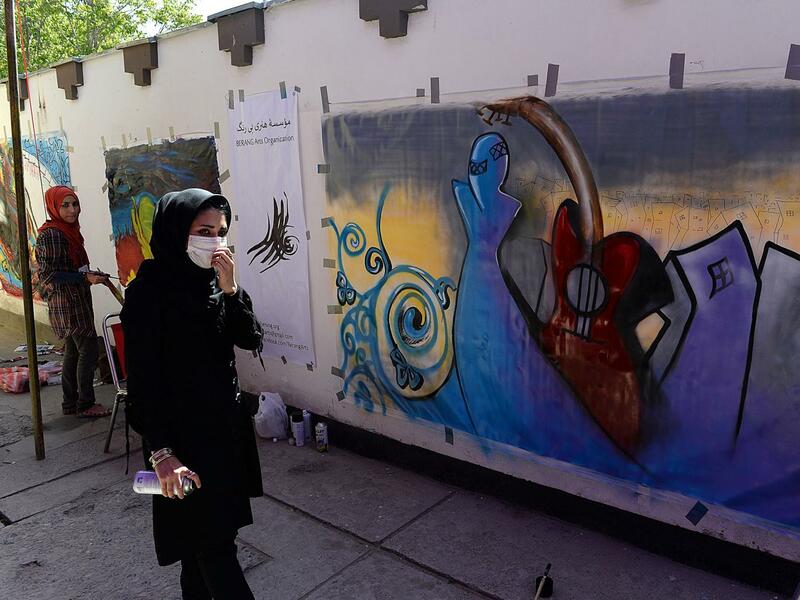 Shamsia Hassani, Afghanistan’s first female street artist, has emerged as a spokesperson for women’s rights in Kabul. Lisa Pollman of Art Radar spoke with the artist to find out more about visual arts in the post-conflict capital and her drive to prove art is stronger than war. Born in Iran to Afghan parents, Shamsia Hassani is a street and digital artist working in the country’s complex and conflicted capital, where she returned in 2005 to pursue her education in Fine Art at Kabul University. A pioneer in Kabul’s contemporary art scene, she works to establish annual graffiti workshops across the country and, on a grander scale, to change the way society views women who refuse to conceal their opinions behind a veil of silence. Her work includes ‘Dreaming Graffiti’, a series in which the artist paints or Photoshops colours and images onto digital photographs to explore issues of national and personal security.